My Take On: Northern Metro Mayors... first the landslide, now what? 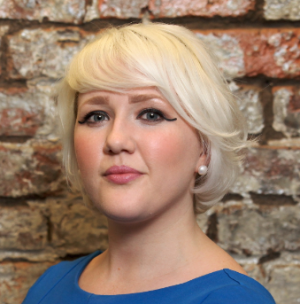 Amy Hopkinson, Associate Director of the Corporate team at Weber Shandwick, asks what next for the newly elected mayors of Manchester and Liverpool. The results for the first Northern Metro Mayors are in – and the Labour candidates in both Liverpool and Manchester have romped home to victory. 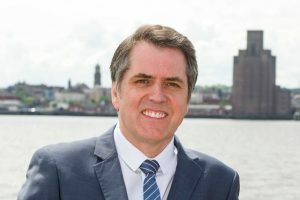 In Liverpool, former MP for Walton Steve Rotherham won with 59% of the overall vote. Not to be outdone, in Manchester, Andy Burnham received 63% of the vote, with every single local authority area within Greater Manchester choosing to elect him. Given the current national outlook for the party, it would be safe to bet that these two results are the only Labour landslides we are likely to see in a while. So, what then, can we expect from these two Labour stalwarts in terms of policy and direction for our two great North West cities? In Liverpool, Rotherham is a former aide to Jeremy Corbyn and all-round ‘old’ Labour man. He has run on a platform of improved transport within and connecting to Liverpool, including more train stations and publically-owned buses; reducing the Mersey Tunnel tolls for regular commuters; a fairer housing system; and a commitment to making Liverpool just as an important city of the Northern Powerhouse as Manchester. In Manchester, former New Labour minister Andy Burnham has been elected on his manifesto to cut (and ultimately scrap) travel costs across Greater Manchester for 16-18 year olds; the creation of an Oyster card style system for public transport; ensuring greater provision and support is provided to tackle mental health across the region, especially amongst children and young people; the launch of a homelessness fund to which he will be contribution 15% of his £110,000 salary; and a commitment to the continued devolution of Greater Manchester that will put decision-making much closer to the people it affects. The powers that each new Metro Mayor have differ slightly, but each now has, in general terms, power over transport, health and social care, education and skills, and housing and planning; as well as having access to a 30-year £90m investment fund. In short, they will be dealing with the day-to-day matters that make city regions tick along, and will have the power to really shape important aspects in the lives of their constituents. Based on their rhetoric throughout their campaigns, both of the new Metro Mayors are committed to ensuring that the Northern Powerhouse remains at the forefront of the national government agenda and, given their Westminster backgrounds, are seemingly well-versed on how to make sure that this is the case. For the creative industries, much has been spoken about a skills gap, and the need to invest in and encourage the retention of talent within the North. With hubs such as MediaCityUK having paved the way for a new era of creativity in the North West, and both Metro Mayors making the case for a Channel 4 move to their respective cities, the focus now is to ensure that the respective training, connectivity and infrastructure is in place to allow for our industry to grow and flourish. With Burnham, this approach takes the form of a 14-year-plus skills strategy; replacing the apprenticeship levy with a skills levy; bringing forward a Northern Powerhouse Rail network to connect Manchester with Liverpool and Leeds; developing a regional rent to own scheme to help those under 30 get on the housing ladder; and creating a business advisory panel that will work closely with the LEPs. My Take On... Brand authenticity in the era of fake newsRotherham will be focusing on developing an independent careers service for young people; creating a ‘pathways to excellence’ programme to connect schools, universities, and businesses; making applications to apprenticeship schemes easier; calling a housing summit within his first 100 days of office; and introducing a pilot scheme to identify new ways in which to meet the city’s housing needs. Quite how and when each of these policy commitments will play out is anybody’s guess but, with each successful candidate the first ever holder of their respective roles, there is a sense that any improvement to the current situation will be welcomed, and any step towards fulfilling a policy commitment seen as a positive one. Both these individuals effectively have the opportunity to carve out the Metro Mayor positions in their image which, given that each has a resounding mandate to govern, will be a very interesting tale of two cities to watch.